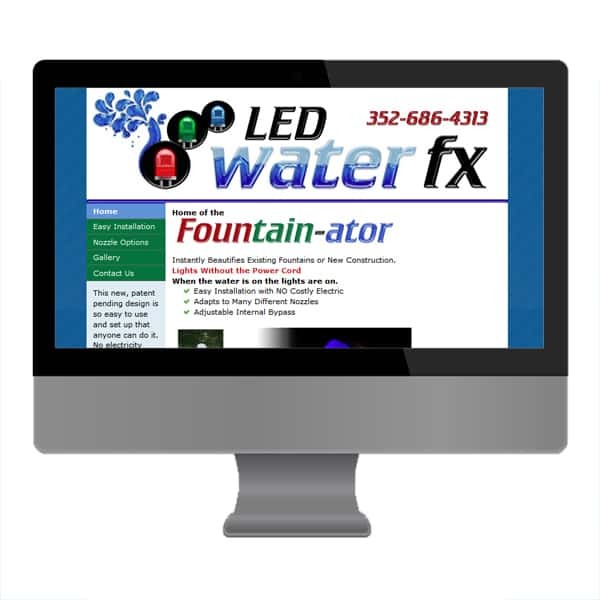 LED water FX Logo Design | JP Global Marketing, Inc. This innovative new company has a patent pending design on a fantastic new, wireless fountain for use in new construction or existing fountains. Either case, the set up is so easy, it takes only about ten minutes. Lots of options too.